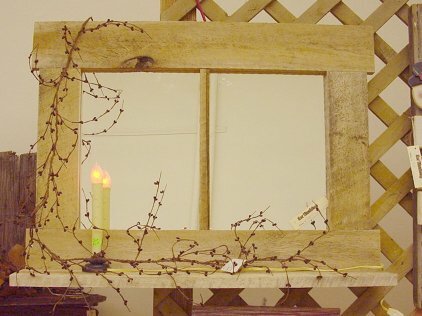 This Country Window or Country Mirror is made of Rough Cut Pine to give it a very Rustic Look. We can make it any size you want and even add a shelf across the bottom if you want. Remember, with us, everything is hand crafted and custom made just for you to fit your space.